How time flies! Is it really Advent, the season of waiting and preparing for Christmas, already? There is so much to do at this time of year: decorating and baking (well, not me actually! ), visiting and feasting, choosing just the right gifts and wondering what gifts might be received. In the midst of this flurry of activity, and, generally, numerous flurries of snow(! ), simple questions might pop into our heads: ‘Is this what it’s all about?’ or, ‘Is there something more?’ or even, ‘Have I gotten something wrong here?’ Perhaps, after the food is eaten and the gifts unwrapped, you ask yourself, ‘Is there a gift out there somewhere that would really satisfy me?’ If we are honest with ourselves, that is what we want in life—something that can meet our needs, help us with our problems and decisions, bring comfort, happiness, peace. The good news is that there is such a gift. It is custom-made just for you and is given by someone who knows exactly what you need right now. It gives you more than anything money can buy. And it comes from someone special, who knows you and loves you deeply, and who wants only the best for you. Does that sound like a great gift? Does it sound too good to be true? I assure you that it is true because I received that gift 39 years ago. God, who created each one of us, who loves each one of us individually, perfectly, and without any conditions attached, sent His only Son, Jesus, to live as an ordinary human being on earth. We celebrate His birth at Christmas. ‘So what?’ some may ask. In the Bible there are four different writers’ interpretations about Jesus’ life. We call those stories the gospels, which translates to, 'good news.’ Matthew and Luke probably heard the stories second-hand; Mark and John told their own stories. They all wrote about what Jesus said and did, what He was like, and how He died. That’s all fairly normal for a biography. What is not normal is they went on to tell how He was alive after He died! The event which Christians call the resurrection changed the world, the course of history, and can also change us if we accept the gift He offers. Jesus is God’s gift to us. As the Son of God, He can give us freedom from our fears and worries, forgiveness of our past, healing of our bodies, minds, and relationships, and the assurance of God’s unconditional love for us. We can be free, safe, and fully alive like never before. We don’t need to do anything special to receive this Gift from God; we don’t have to be good (God isn’t like Santa); we simply have to accept this Gift. Unwrapping it involves learning about Jesus and learning how to follow Him. We call that ‘church,’ which is hanging out with a bunch of people who are also in various stages of their learning. As we learn to trust Jesus we will come to the point where we want to give Him a gift—that gift is our lives as obedient followers. I pray for each of you as you begin, and continue, following our Saviour whose birth we are about to celebrate. I came across this quotation recently. So many of my senses are involved in reading it that I found it quite delightful. Our little human brains can’t describe that night in the kind of precise adjectives that our computer-obsessed society is comfortable with. This is mysterious stuff! So we have to resort to pictures that aren’t as well defined. That shouldn’t be so surprising. After all we are dealing with a once-in-a-lifetime event—the birth of the Saviour of a world gone wrong. Those unschooled, illiterate shepherds did a fine job of getting their story across. I think it was more in the joy on their faces than in the communication through their words. Each time they told the story, to their families, to their friends, to anyone who would listen, that joy must have looked like a bonfire, rays of hope radiating from their whole beings. Good News! Sing it out! The story hasn’t changed. When we tell it, do we express that same joy, wonder, certainty? Remember this joy doesn’t have to be limited to just Christmastime. The overflowing joy of knowing Christ’s presence in our lives was one of the themes of Jesus’ final teaching with his disciples the night before he died on the cross. He told them of his extravagant love for them—that he loved them as the Father loved Him (John 15:9). After sharing what this eternal relationship looks like, Jesus said, “These things I have spoken to you, that my joy may remain in you, and that your joy may be full” (v.11). What a promise! Through Jesus Christ our hearts can be filled with joy—real joy! May you experience real joy this Christmas and always. While the Christmas season ends for another year, the mystery enfolding—and enfolded by—the season never ends. It didn’t even begin that first Christmas. It simply revealed itself to us: to all and any who could see or hear, listen—who had ‘eyes to see’ and ‘ears to hear’—in the eons to come. A mysterious Word, existing since the beginning of time, wrapped in a baby and born into a world so already full of its own words, wonder, beauty and noise—that hearing, seeing, the capital-W Word and Wonder beyond and behind it can be nigh on impossible. 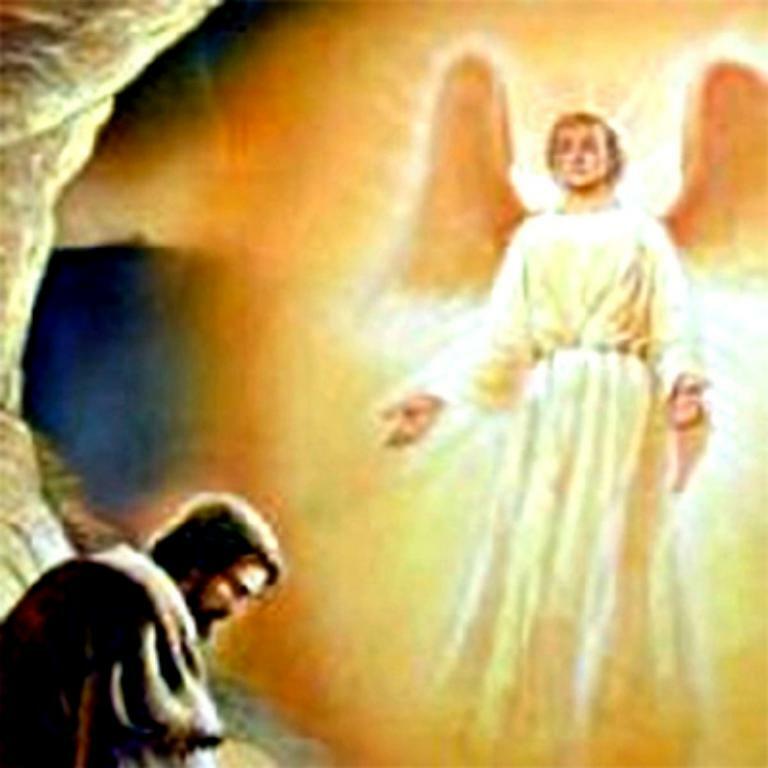 In Mary’s encounter with the angel and then with the Holy Spirit, the divine seed was planted. She treasured and wondered at the words spoken to her, and her body nurtured the ‘Word’ to term. Imagine carrying and giving birth to a mystery. In a way every mother does, but can you imagine carrying and giving birth to a world-changing mystery that both pre-existed you, life itself, and contained the answers of time and eternity? Completely impossible to comprehend, and that’s the point. Mary embraced what she did not understand, nurtured and treasured it. The holy seed came to term and the world would never be the same. Have you ever had an inexplicable, dramatic encounter with holiness, with God? By its very nature you can’t explain it to anyone else, but like Mary, you can treasure and nurture it. Trust that the divine seed will come to term. (Wisconsin, USA)—Charlie and Scotti Keepman, with 24-year-old daughter Richelle, had just traveled to Ethiopia, Africa, where they'd adopted two orphans and were bringing them back to their home in Wisconsin on Christmas day. Sitting toward the back of NW Flight 253, the Keepmans had no idea of the drama about to unfold rows ahead of them when terror suspect, Umar Farouk Abdulmutallab, attempted a suicide bombing in his seat. "We heard a pop and then smelled the fumes," recalled Charlie about the moment Abdulmatallab tried to ignite his explosives. "It smelled like burning wire actually. And I thought that's what it was." But when flight attendants came running back for the fire extinguishers, Keepman noticed the horror in their eyes and knew something more was happening on their plane. Trying to remain calm, the Keepmans joined hands with their daughter and newly-adopted children and began to bring the matter before the Lord in prayer, and to sing Jesus Loves Me. Abdulmatallab's explosive device failed to do more than start a fire, and thanks to one quick-thinking passenger who jumped over seats, apprehending him and preventing him from doing any further damage, a possibly fatal situation was avoided. The Nigerian Abdulmatallab (23) was later charged with trying to blow up NW Airlines Flight 253. This post has been updated. Please visit: Christmas trees, presents, stockings, Santa Claus: the traditions of Christmas sanctified.